GENERAL DESCRIPTION: The primary goal is to provide an exceptional member service and sales experience through efficient member transaction processing and the generation of sales through quality referrals. Manages, directs and supervises Branch MSR I, MSR II and Lead. Responsible for branch operations and assigned employee sales performance. Schedules branch employees to maintain an efficient staffing model to maximize resources. Ensures outstanding member service, compliance with all policies and procedures, meeting or exceeding all branch sales goals and objectives, while maintaining professionalism in the workplace. TASKS, DUTIES, FUNCTIONS: Train, develop, and evaluate assigned branch employees. Direct and schedule Branch activities. Maintain a thorough understanding of state and federal laws and regulations related to credit union compliance including bank secrecy and anti money laundering laws appropriate to the position. Foster a positive and engaging work environment for each team member by promoting skill development, coaching for improvement and growth, inspiring others through your words and actions, ensuring positive employee morale throughout Golden 1, and embracing our mission, vision and core values. Train and counsel employees in sound operations/lending practice and cross-selling techniques. Coach, develop and manage staff performance to meet or exceed all sales and service goals and objectives. Conduct employment interviews. Hire, train, develop, direct, schedule, evaluate and recommend monetary increases on all assigned branch employees. Communicate and interact with members to provide the highest quality of service and cross sell products and services to meet or exceed all sales goals and objectives. Assist Branch Sales Manager in planning and organizing of branch outbound sales call efforts and participate in calling events. Prepare, analyze, and control all required logs. Implement internal audit and security procedures and controls. Identify, investigate, and respond to operational/lending irregularities. Monitor and oversee the ATM and TCD performance effectiveness. Maintain a current working knowledge of financial industry rules, regulations, and sound methods and practices. Prepare and participate on special and standing committees. Assure that the physical maintenance and overall appearances of the branch facility are satisfactorily maintained at all times. Communicate and interact with support vendors providing branch products and services. Plan and participate in meetings at the Administrative Office to provide for proper information flow among management and staff. Audit operation/lending actions for procedural and policy compliance and perform control as required. Direct the proper acquisition of supplies and materials. Complete the Sales and Service curriculum (Teller Referral, Basic Selling Skills and Retail Sales Leadership) successfully. Complete the Operations Branch Manager Skills Test successfully. Support and maintain all assigned branch objectives. Assist in staffing teller and/or member service areas as required; may occasionally be requested to fill in at another branch location or back office department. Perform Notary Public services as needed. PHYSICAL SKILLS, ABILITIES, AND EXERTION UTILIZED IN THE PERFORMANCE OF THESE TASKS: Oral and written communication skills required to appropriately train and advise staff and members on policy, procedures, and products. Must possess sufficient manual dexterity to skillfully operate an on-line computer terminal and other standard office equipment, including facsimile, telephone, typewriter, and adding machine. ORGANIZATIONAL CONTACTS & RELATIONSHIPS: INTERNAL: All Branches, Support Departments, and Administrative management and staff. 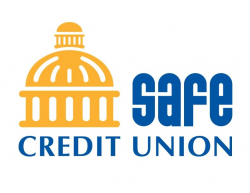 EXTERNAL: Members, vendors, peers in financial institutions, and credit union associations including auto club, vehicle dealers, and loan applicant references. QUALIFICATIONS: EDUCATION: Successful completion of High School curriculum is required. Associate of Arts Degree in Business Administration, Finance, or Human Resources is desired, or equivalent experience desired. EXPERIENCE: Three years or more in a progressively responsible supervisory capacity within a financial institution operations area and/or lending experience. KNOWLEDGE/SKILLS: Leadership skills as well as ability to work as part of a team. Strong oral and written communication skills. Skilled in office automation technology, has computer aptitude, knowledgeable of video security system, vault procedures. Sound knowledge of the methods and principles of business administration. Ability to work as part of a team. Flexible employee coaching skills to meet individual employee needs. Solid knowledge of financial concepts, and products and services offered by Golden 1. Proven ability to inspire and motivate employees to exceed sales and service goals. Proven ability to meet and/or exceed individual service and sales goals. Professional (Verbal/Written Communication and Presence). Demonstrated positive demeanor and outgoing attitude . PHYSICAL REQUIREMENTS: a) Frequent movement within the branch through the workday to assist other staff and members in performance of tasks. b) Must sit for prolonged periods at other times. c) Throughout the workday, lift and carry supplies to the work area, including cash, cash cans, and various pieces of equipment weighing up to thirty pounds. d) Minimal travel by car or public conveyance to attend meetings. e) Corrected vision in the normal range. f) Corrected hearing in the normal range. A telephone device to enhance hearing will be provided if needed. g) Unusually long work hours may be required to accomplish tasks.